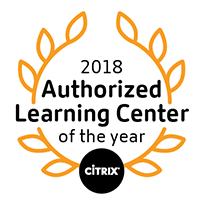 Learn to secure your Citrix Workspace deployments with this two-day course that covers Citrix Virtual Apps and Desktops. You'll learn how to secure Virtual Apps and Desktops traffic, getting an understanding of when and where to secure traffic between Virtual Apps and Desktops components, and advanced authentication implementations covering multi-factor authentication, Smart Card, SAML, and FAS. Additionally, you'll explore, how to protect your applications against vulnerabilities, Citrix Cloud security leading practices as well as operating system hardening, hypervisor security, and monitoring and operations Citrix recommended practices. This course helps prepares candidates to get the Citrix Security Certified certification.